Yes, this is a real place. However, people in the video are speaking Portuguese, because the club decided to have a Portuguese-themed night, I guess! 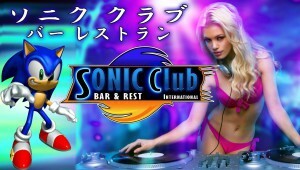 If you look closely, you might see Sonic Team doing lines of cocaine off of Sonic’s quills.